Dr. Hany El Banna is the founder of several charities including The Humanitarian Forum, Islamic Relief, and the Muslim Charities Forum. He is also a board member of the Center for Interfaith Action on Global Poverty (CIFA). He has visited over 60 of the world’s poorest and most vulnerable countries on behalf of these organisations. Dr. El Banna originally trained in Medicine, both in Egypt and the UK. 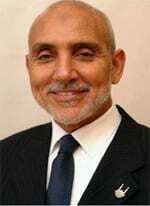 Amongst his many achievements, he has been awarded the Order of the British Empire (OBE), the Ibn Khaldun Award for Excellence in Promoting Understanding between Global Cultures and Faiths (UK) and the UK Muslim Power 100 Lifetime Achievement award.